Do you have the time to stand outside and water your lawn each day? No, neither do I! The best lawn sprinkler saves you plenty of time throughout your week. It also ensures that your lawn is watered regularly. You’ll have the greenest yard on the block! Winning that neighborly lawn competition will be a breeze, so long as you remember to mow it as well. Gardeners can benefit from gadgets and tools as well! Your garden might be a quiet location, peaceful and serene. If you are like me, your garden is a place to escape the hustle and bustle of the busy world, while connecting to the generations of the past. Feeding our family from our garden is for both sustenance and enjoyment. Luckily, we have gadgets in the 21st century that can help with maintenance. Taking proper care of your garden and lawn requires a garden sprayer. They help to ensure your flowers, vegetables, and grass is beautiful. 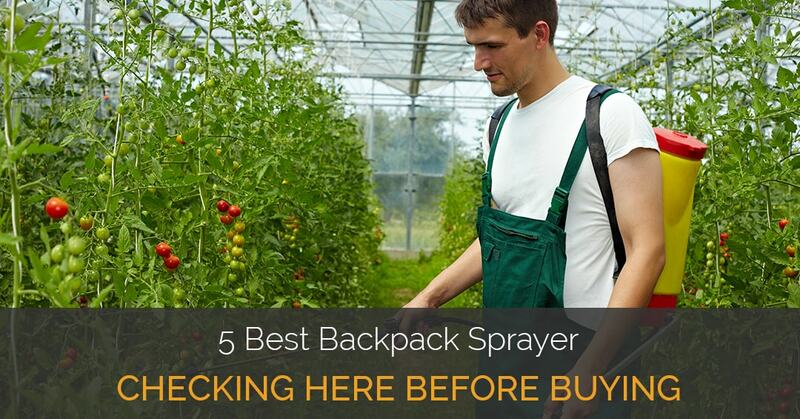 Buying one of the best garden sprayer options will prevent weeds and bugs from overtaking your hard work. You can use them to spray herbicides throughout late spring or end of the summer when weeds are typically a problem. If you have time, read on down to see what you need to know about garden sprayers. However, here are our top picks!